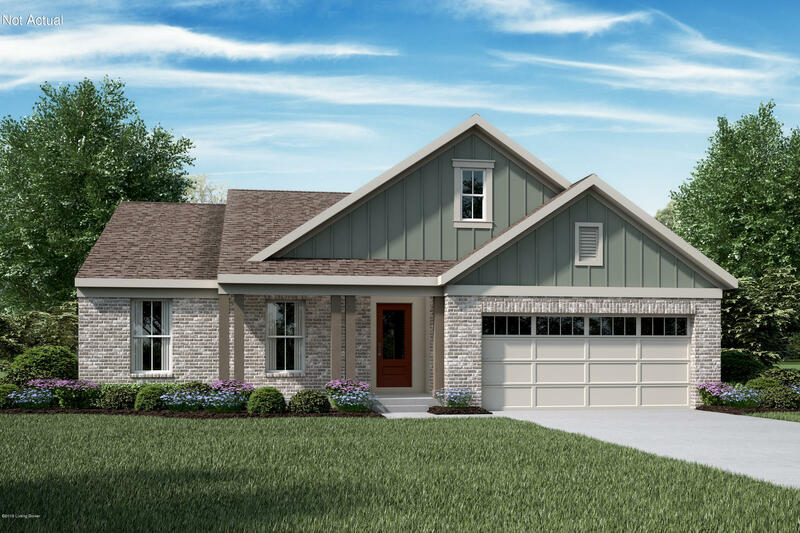 New construction by Fischer Homes in the beautiful Reserve at Autumn Glen featuring the Magnolia ranch floorplan on a full walk out basement with a Modern Farmhouse Brick front elevation. Gleaming hardwood leads you from the front entry foyer to the fabulous and open Family Room and island kitchen which is fully equipped with Stainless Steel appliances, Granite Countertops and stylish tile backsplash over Maple Cabinets. The breakfast room boasts a wall of windows and opens to a view of the large backyard. The Owners' suite includes a spa bath with double vanities, soaking tub, large walk in shower and a water closet. Two additional bedrooms are generous in size. The walkout lower level features a rough in shower bath and opens to a patio.